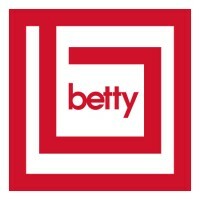 betty are using The Talent Manager to store CVs, and freelance contacts.To join the private network of betty, please Sign In, or Register, to The Talent Manager. You can do this for free. At betty, telling great stories is at the heart of what we do. Our well-cast, high-quality, factual television programmes, are made with a sense of fun and aim to provoke debate and create adventure. We’re open, honest and transparent in all we do. We care about each other and treat everyone with respect. We’re a place where people learn and grow, and where family commitments are seen as important, not an inconvenience. We’re a diverse and friendly bunch too - a magnet for lively, talented, hard-working people like you, who embrace life and all that it offers. Put simply, we pride ourselves on being a great place to work! And what’s more we also offer free breakfast, regular training workshops, employee of the month, social events and yoga.